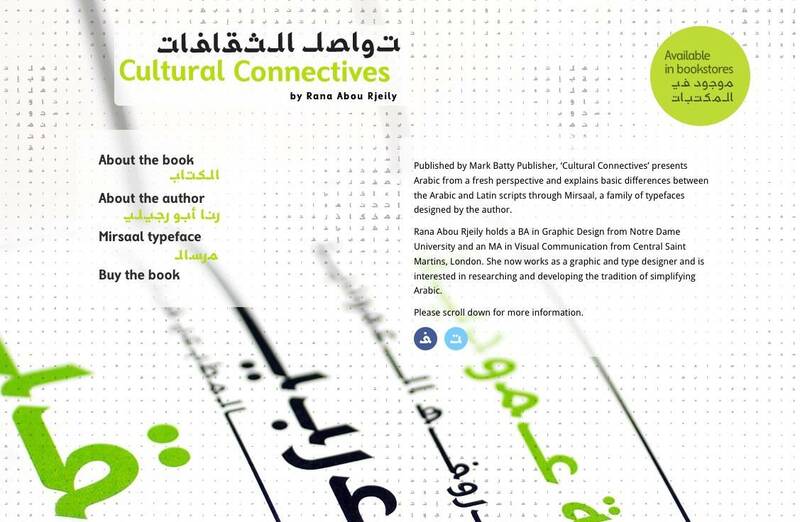 Cultural Connectives: Understanding Arab Culture Through Typography published by Mark Batty Publisher and written by Rana Rjeily looks like such an amazing book in better understanding, and appreciating, Arabic typography. 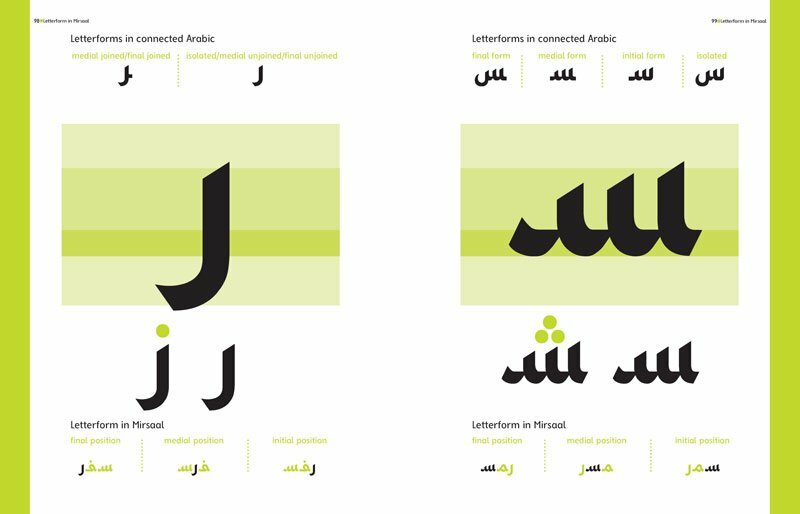 When it comes to learning and understanding Arabic, the letterforms can be daunting, but realizing the differences between the Arabic and Latin alphabets is necessary. 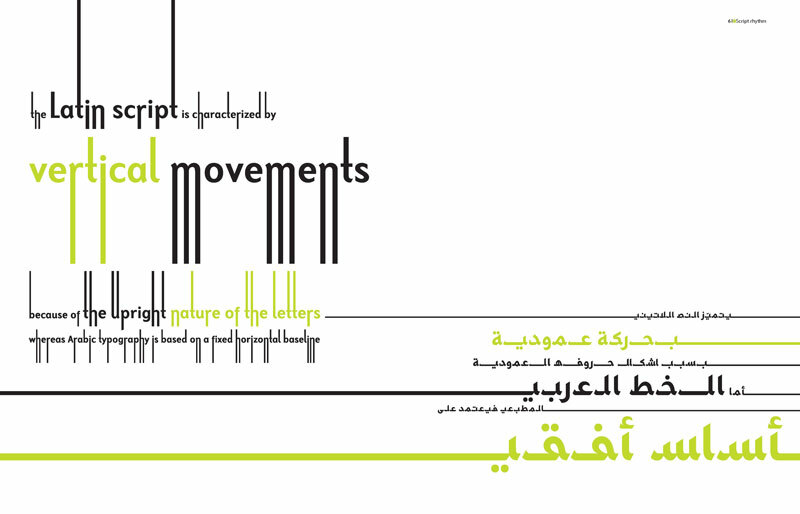 Cultural Connectivespresents Arabic from a fresh perspective by bridging Arabic and Latin scripts through Mirsaal, a family of typefaces designed by Rana Abou Rjeily that brings the two scripts into typographic harmony, even in light of their differences. Using her designs, Abou Rjeily applies Arabic rules of writing, grammar, and pronunciation to English as a way to introduce Arabic to non-native speakers. As an introduction to written Arabic this book is invaluable; as a means to dissolve cultural barriers, this book utilizes two very different alphabets in the name of creating understanding on many levels. 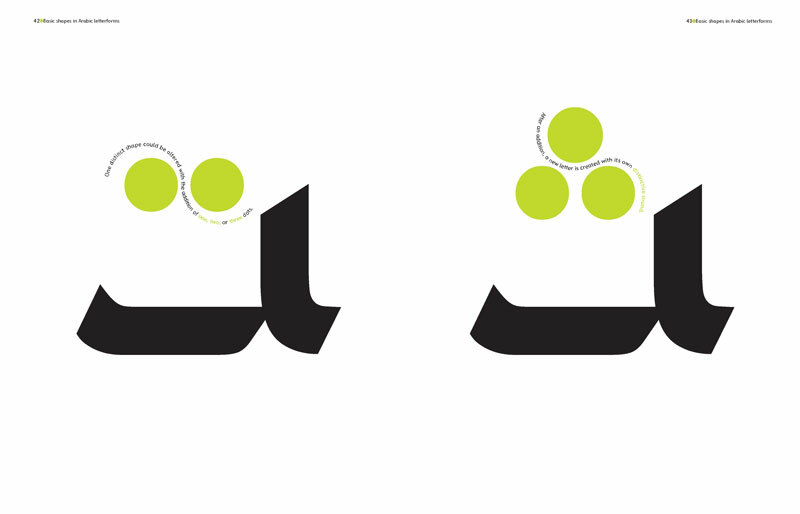 Increasingly brands are creating uniquely styled Arabic versions of their brand logos. 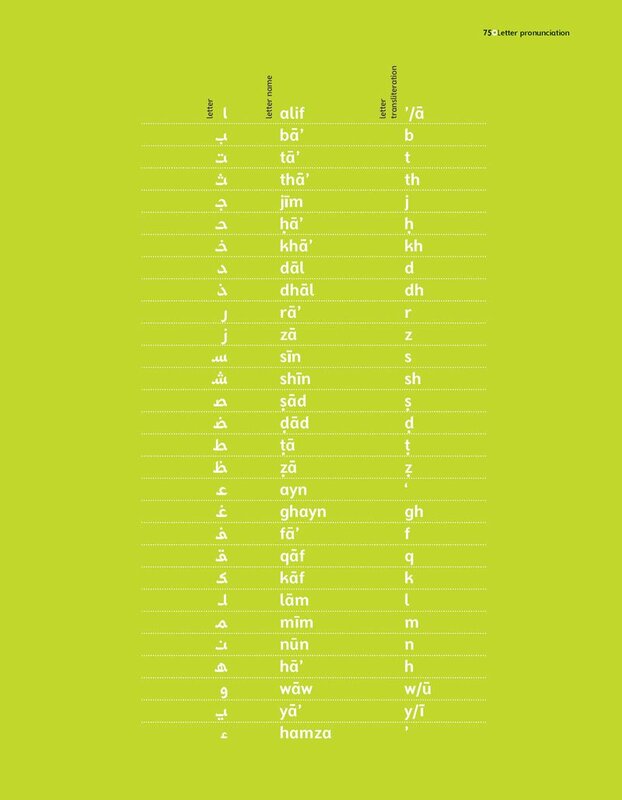 This can show us is how a specific visual brand message originally created in Crylilic will take on quite a different look when translated to Arabic. I briefly touched on the Arabic version of the FedEx logo in a previous post. This is a classic example of where some nifty re-engineering had to be done in order to retain that infamous negative space arrow, as this is a core visual reference from FedEx. Cultural Connectives has come at such a perfect time for me as one of my next projects is indeed of an Arabic brand where both Cyrillic and Arabic versions of the typography will be required. 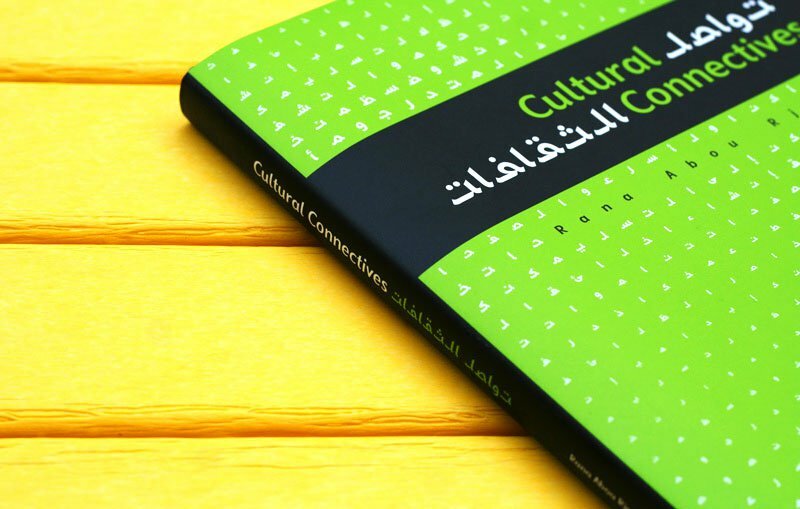 Just ordered Cultural Connectives from Amazon so will let you know if the book is as good as the photographs make it out to be.